This rooster is safe at SARA sanctuary in Sequin, Texas. This is the gist of an email exchange in North Carolina in May. The rooster whose prospects were so promising, instead of going to a sanctuary, is now dead, because the shelter killed him. Why? 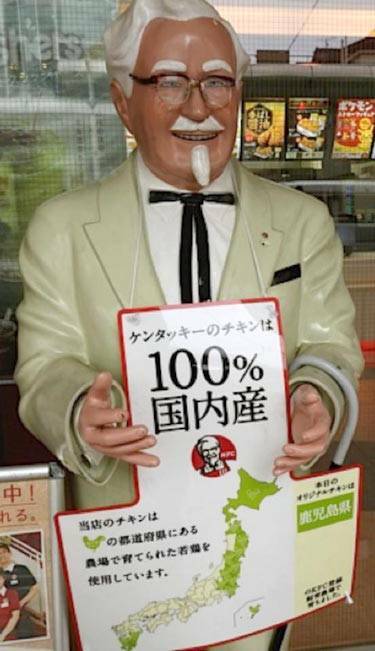 I will begin by saying that no creature on earth is more cursed than chickens are cursed by the human species. In the course of thousands of years, chickens have gone from the tropical forest to the factory farm, with few good stops in between. Because factory farming is so incorrigibly cruel, some people view the recent trend in backyard chicken-keeping as a humane alternative. To the extent that backyard chickens awaken novices to the fact that chickens are lively, sociable individuals with intelligence and feelings, and insofar as zoning laws allowing the keeping of a few chickens mean more homes for sanctuaries and shelters to place abandoned birds in, backyard-chicken-keeping has benefitted chickens. Moreover, there is no question that a well-cared-for backyard chicken has a better life than a factory-farm chicken. 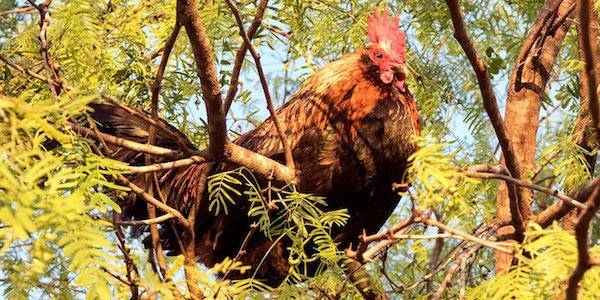 But those of us working in sanctuaries and shelters have also learned that backyard chicken-keeping is fraught with problems that link it to the industrial world of poultry and egg production. Most animal advocates are aware by now that the global egg industry destroys billions of male chicks as soon as they hatch. Countless more chickens, turkeys, quails, ducks and other birds born in hatcheries are treated the same. 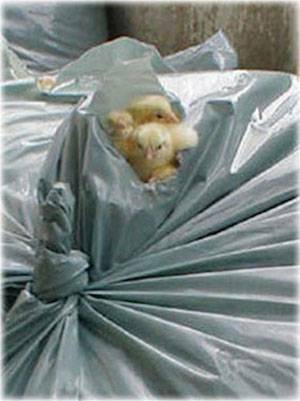 Upon breaking out of their shells in the mechanical incubators, instead of being sheltered by a mother hen’s wings and protected by a vigilant rooster, the newborn chicks are ground up alive, electrocuted, or thrown into plastic-lined trashcans, sometimes being gassed with carbon dioxide in the cans as they slowly suffocate, peeping to death as a human foot stomps them down to make room for more chicks. Since most ordinances allowing residents to have a few chickens allow hens but no roosters, a market is created for killing 50 percent or more of all chicks born in the hatcheries. And since hatcheries have no use for them, they may stuff a couple of baby roosters into the box being shipped to the customer along with the pullets (young hens), leaving the buyer to deal with the unexpected roosters. The manager explained that the NCDA&CS would cover the cost of testing for four reportable poultry diseases (infectious laryngotracheitis, mycoplasma gallisepticum, mycoplasma synoviae, and avian influenza), and that any shelter bird testing positive for one or more of these diseases should be deemed “unsuitable for placement.” And so it happened that this poor rooster, who tested positive for a mycoplasma synoviae infection, was killed by the shelter on June 3rd instead of receiving the antibiotic treatment the sanctuary would have provided. The conflict between backyard chickens and the chicken industry is not new. During the first half of the twentieth century, the growing poultry industry consolidated in opposition to people keeping their own small flocks. In the 1920s, hatcheries with artificial incubators and brooders became widespread. Mother hens no longer sat on their eggs. Poultry husbandry classes and home economics curricula aimed at appealing to farm women gave way to poultry science programs at land grant colleges and universities. These programs, funded by tax revenues funneled through the U.S. Department of Agriculture, continue to this day. BBy 1950, most cities and many towns and villages had zoning laws restricting or banning the keeping of poultry, a pattern that facilitated the decline of breeding “fancy” fowl for exhibition in favor of breeding “utility” fowl for commercial food production. Poultry diseases proliferated with the growing concentration of the confined utility flocks that kept getting larger. As a result, traditional poultry-keeping and poultry shows both came to be viewed as potential disease routes, similar to current claims that chickens kept outdoors spread avian influenza viruses. Then, as now, under the direction of the U.S. Department of Agriculture and its industrialized counterparts around the world, an increasingly intricate system of voluntary “sanitation,” medication, and mass-extermination procedures was established to protect the poultry industry from the disease problems the industry itself created and continues creating. KKimber Farms in Freemont, California, which in 1934 launched the modern genetics laboratory designed to breed chickens for specific “food” traits, developed a line of vaccines to cope with the chicken diseases that sprang in all directions as a result of genetic hybridization causing immune system defects and the increased crowding, squalor and proximity of flocks to one another in the chicken-producing areas of the United States. Father rode on top of the wagon. He was then a bald-headed man of forty-five, a little fat and from long association with mother and the chickens he had become habitually silent and discouraged. All during our ten years on the chicken farm he had worked as a laborer on neighboring farms and most of the money he had earned had been spent for remedies to cure chicken diseases, on Wilmer’s White Wonder Cholera Cure or Professor Bidlow’s Egg Producer or some other preparations that mother found advertised in the poultry papers. . . . 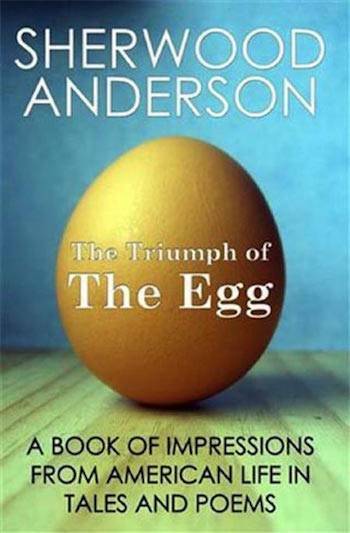 I fell into a half-sleeping, half-waking state and dreamed I was a tiny thing going along the road into a far, beautiful place where there were no chicken farms and where life was a happy, eggless affair. The storyteller could himself be a chicken longing for a place where there were no chicken farms and where life was a happy, “eggless” affair free of humanity’s relentless schemes. What these government agencies don’t readily disclose to the public is the fact that the “backyard” birds sold by Tractor Supply and other farm supply stores harbor many of the same inbred pathologies and debilitating effects of hatchery contamination, filth, stress, long-distance transport and brutal handling linking them to their “factory-farm” counterparts in what is actually a seamless poultry agribusiness. Misunderstandings are compounded by promotional assurances that chicken-keeping is perfect for people who want “fresh eggs,” “green living,” “sustainability,” or whatever, with minimal investment of time, money or care. Over the years I’ve spoken to backyard chicken-keepers surprised to learn that a chicken can develop respiratory infections and other ailments requiring veterinary care. I’ve spoken with people who were told by other people including farmers that cleaning the chicken coop need be done only once a week, or once a year, and that the toxic ammonia fumes released from the decomposing uric acid in the accumulated chicken droppings is good for heating the coop in cold weather. WHEN CODY OPENED THE DOOR to the henhouse, the first thing that hit me was the smell. The ammonia stench clogged my throat and nose, and while my eyes didn’t literally water, I wished they would’ve because of how badly they burned. I cannot imagine what a factory farm might smell like, with chickens piled one on top of the other, surrounded by feces, and suffering blindness and ammonia burns from the poorly ventilated air. Which is nothing like Cody’s farm, but good God it reeked. In fact, Cody’s farm – “two hundred birds, sixty dozen eggs a week. Every now and then he’ll slaughter a batch for meat” – is like a factory farm in all but scale. It’s a factory farm in terms of the attitude of the people running it and as an example of traditional farming practices that make chickens suffer and make them sick. Chickens kept in filth, whether in a coop, a live poultry market or an industrialized warehouse, develop respiratory infections and weakened immune systems. The ammonia in which they are trapped injures their eyes and the mucous membranes of their upper respiratory tract letting bacteria, viruses and protozoa into their lungs, air sacs, and livers. When the ammonia penetrates their bloodstream, it causes immunosuppression with the result that a battalion of disease organisms can colonize and spread through their bodies. While modern factory farming is responsible for many of the diseases that currently sicken birds and humans alike, it’s important to remember that bird flu, for example, did not originate in Western-style factory farms, but rather crossed from relatively rare outbreaks in wild waterfowl into domestic bird flocks through the crowded poultry farms and open-air markets that spread across Asia. Right now in the United States, the “great stench and evil savor” permeate not only the poultry factory farms but the live bird markets which are similarly linked to frequent avian influenza and other disease outbreaks. Each year, New York and New Jersey markets alone sell more than 80 million chickens and other birds brought in from places no one keeps track of. Many of these birds are visibly sick, but while the U.S. Department of Agriculture calls the markets bird flu “time bombs,” the agency refuses to shut them down. Today, a combination of smalltime chicken-keeping, live poultry markets, industrial poultry farms, cockfighting and related enterprises contribute to the global circulation and proliferation of infectious diseases. People and birds will continue to suffer as long as consumers, producers, governments, the media, and investors like the Bill Gates Foundation, which is currently financing African chicken farming and promoting African KFC, consider the cost to be worth the risk or of no consequence at all.